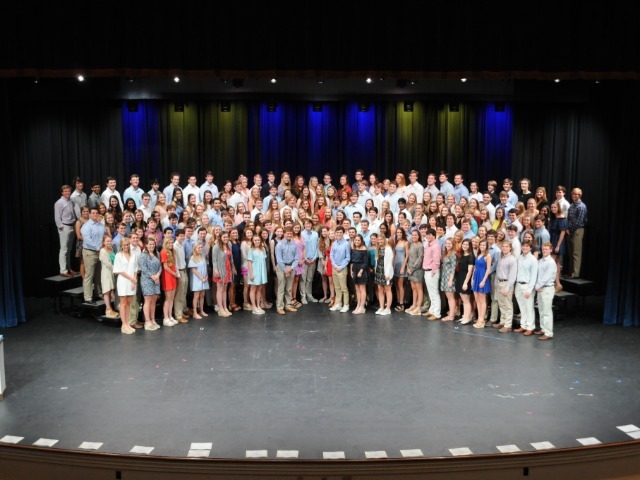 The senior and junior student athletes were recognized at the Cornerstone Scholar Athlete Award Program on Wednesday, April 25th. The program was held at Highland Park High School. Johnny Ringo, HPISD Athletic Director, emceed the program. Emily Nelson, a senior captain on the Lady Scots Cross Country Team and a member of the Track/Field Team, led the invocation. The purpose of the Cornerstone Scholar Athlete Award Program is to recognize junior and senior student athletes who exhibit excellent performance in all that they do. The Cornerstone Scholar Athlete Program began in 1995. This year there were 228 student athletes recognized.